Thank you for another great testimonial Charlotte and Deen ! enthusiasm distinguishes her from other agents. You know exactly where you stand and what to expect. Michelle went above and beyond when it came to guiding us through the process for selling our house. Our emails and phone calls were answered within minutes and it is evident that she is highly regarded by her peers. As a Director for TREB, she is extremely ethical and I witnessed first hand her educating other agents who visited our property with their clients and left our home in unsatisfactory conditions. 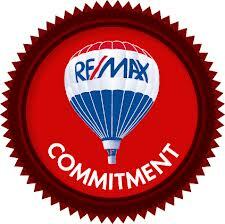 I have sold several properties, but I have never had an agent work harder for me. Michelle makes it abundantly clear your needs come first. She is more than an agent, she has now become a very good friend. Thank you for the edification, support and guidance during this real estate transaction. THINKING OF SELLING YOUR HOME ? YOU NEED TO WATCH THIS ! Then call Michelle Makos at Re/Max First !